The African Boerboel can be what you looking for, once you have one you won’t think anymore about other Breeds. First let’s talk about the South African Boerboel, after that i will tell you which Boerboel Breeders are the best ones in my opinion. The name Boerboel has its origin in Dutch. Meaning farm dog, the dog has been in existence for a long time but there are no records of the origination of Boerboel breed, though it is believed that the breed was created from interbreeding native African landrace dogs such as Africanis, with breeds conveyed into South Africa through the Dutch, French, and British immigrants. Terror will move all over the body system at the sight of a fully grown Boerboel dog, but raising it from a boerboel puppy to an adult creates a bonding relationship one would love. 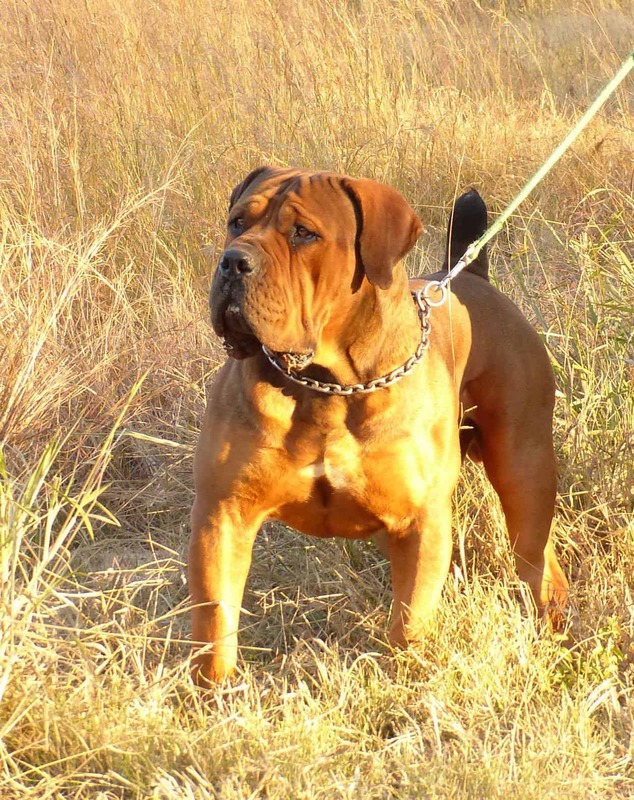 The Boerboel is a huge dog with a solid bone structure and well-developed muscles. It is a massive mastiff-like breed with a blocky, broad, square head and a flat skull. This breed of dogs is known for its ugliness and physical strength, though their qualities are a little toned down in the females. The South African Boerboel dogs are known to have a lifespan of 10-12 years, also with a size of 24-27 inches, they are intelligent and trainable especially during their early stage. A little exercise would keep them healthy and once in a week or two grooming would keep their appearance undamaged. They are known to be very protective of medium energy level, they bond easily with other pets they were raised with them, they love children and can be raised within one’s compound or yard. The South African Boerboel dogs are often good companion with obedient qualities. When raised with proper training accompanied with the right socialization. With these, they will be more playful and friendly towards its owner. It’s self-confident and not easily intimidated. They are loyal, protective and usually form a strong bond within their circle and environment. Furthermore, the Boerboel breed is additionally cannot waver to attack if it feels vulnerable or believes its master is defenseless. The dog isn’t quick to do an about-face against an invader unless they are instructed to by their master. South African Boerboel has a very short, dense and smooth coat that brags a natural picture, pleasing to the eyes and tender to the palm. They come in varieties of color such as red, Wine, Black, Fawn, Brindle, Cream, etc. The South African Boerboels are often healthy with an average age of 10-12 years. Only a few genetic disease and ailments have been reported concerning them. Though they may develop some health problems, they are usually very strong and reliable dogs when bought from the best breeders ofcourse. The Boerboel is usually tagged as a working dog due to its history as a farm dog. However, a Boerboel is more than just a working dog, it is a friend to always look up to, and it is a protector and a defender. It is very difficult to tell which Boerboel breeders are the best because Boerboels are South African dogs that can be used for very different things, for example if you are looking for a working dog you should look for a certain type of breeders, if you looking for a show dog you should look to someone that breed dogs for shows, maybe you want a small boerboel? or a big one? Athletic type? heave set type? As you can see choosing the best breeder for me maybe different from you, anyway i will give my own opinion based on what i look for in a Boerboel and that is, Temperament , Size, Head, Movement and Volume, many breeders especially in Europe breed a very tight and small Boerboels, i like a Boerboel that stands out , i like a big size Boerboel with a massive body and that is what you will find on our lines. 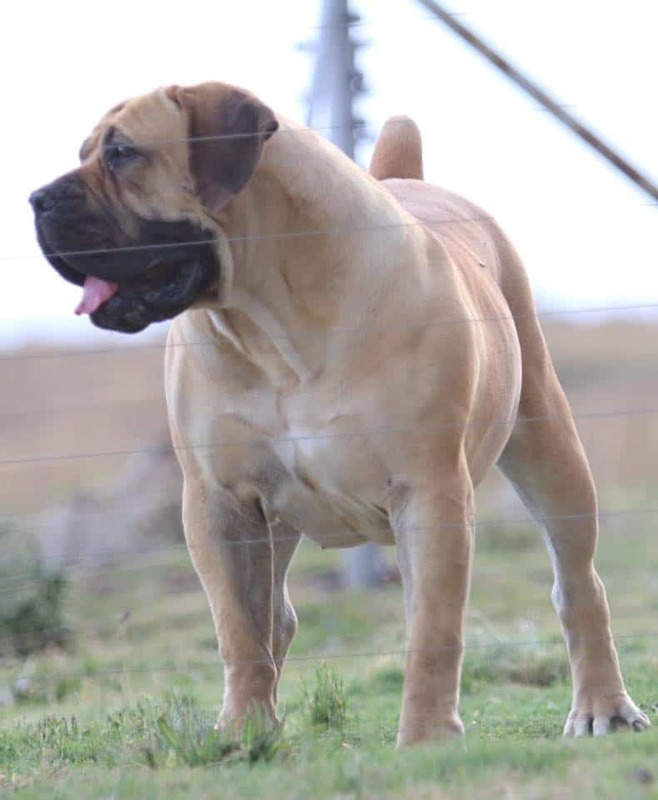 1- Afrika Boerboels, this South African breeder is special, they have tremendous quality and actually some of our dogs were bought there, and they are the home of one of the best males in the world, MES Rubenstein. Till now i must say they probably are my best experience till now in South Africa, excellent experience with Karlien. 2- Middelpos Boerboels, also in South Africa they are the home of the legend Middelpos Alpha and Groenberg Rambo ( One of the best studs ever) and many more, this is a legendary Breeder. 3- MES Boerboels, a South African Breeder and home of one of my favorite dogs MES Askam. 4- El Dorado Boerboels, South African Breeder home of the legend Son OF a Gun and MES Bite a Bullet. 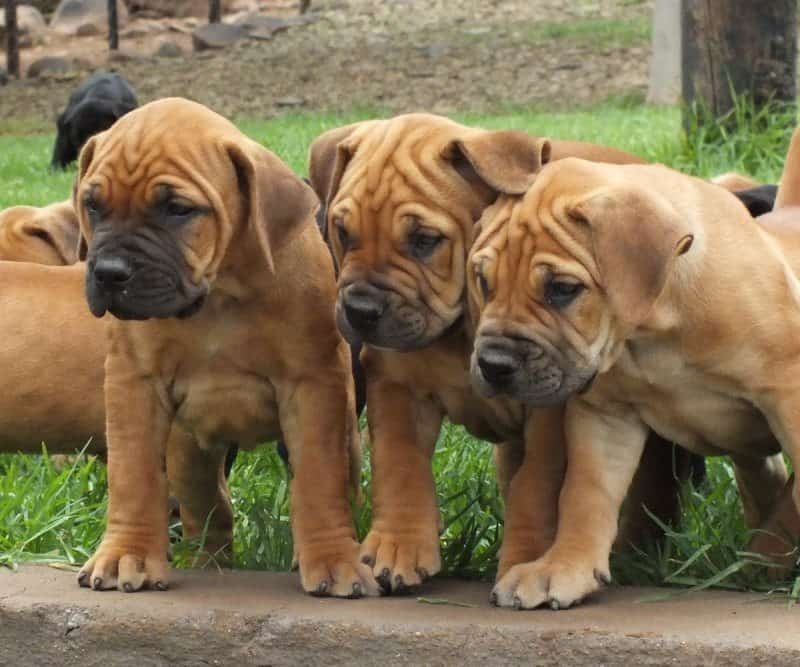 5- Volspoed Boerboels, also in South Africa, this breeder have tremendous dogs. 6 – Targus Boerboels, also a South African breeder that have amazing dogs, many with Cabaret Lines which i love. 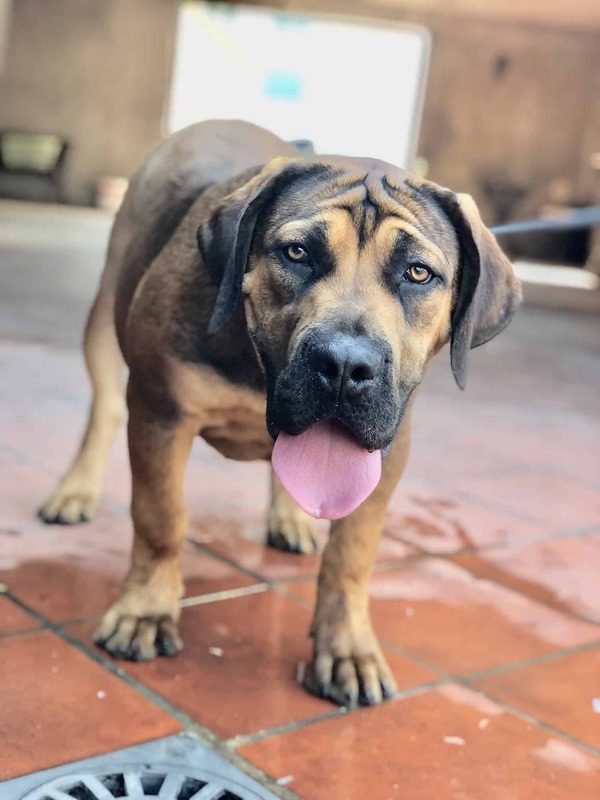 7 – Last but not the least Bostu Boerboels, for me the home of one of the best dogs in South Africa, Chereen is a great person, very good communication, great dogs with lot of size and im having a great experience with her, highly recommend this South African Breeder. I could continue naming good breeders, and they are many, especially in South African ( Sorry for the ones i missed) actually on this list i only named South African breeders, but in Europe and in the States exist also good breeders , and i know a few , we for example ( im not saying this to brag ) , i truly believe that we are breeding the best lines in the world and there are few Breeders especially in Europe that breeds such high quality, but they are some, just make sure when you are buying a Boerboel you do your own research about who are the parents, where that dog come from etc. Hope this list help you, for me the South African Boerboel is the best Breed in the world and a true passion, i owned many breeds in the past and i never felt such a connection as i feel with Boerboels. The South Africa Boerboel still holds the record of being one of the best guard dogs in the world against predators or intruders, the fear of most Boerboel owners and breeders is their aggressiveness and temperament, the South African Boerboel is not like the others – it is not aggressive in any way and is as a matter of fact very friendly with children, also this particular breed is very good at recognizing friends and visitors, introducing your Boerboel to your visitors will ensure cordiality between them, but be aware, this is not a easy breed, this is a strong and dominant breed, this dogs are not for everyone. Another very important reason why the South African Boerboel breed is the best is its high level of intellect. The breed is extremely smart, high level of courage and very trainable, which is why it should be kept with you and your family, and this is one of the reasons why they are the best; they can be a fierce defender for your family and kids and also be a great companion. The South African Boerboel is also one of the agilest breeds in the mastiff world, nowadays we see a stronger boerboel emerging but still it is an agile dog with extreme power. The South African Boerboel can be highly trusted with its tracking abilities – one of the most striking ability this dog has. It can track a wounded prey from miles away and return it back to its master without eating it themselves. Which other breed does this without massive and timeless training? The South African Boerboel is very healthy as opposed to other Mastiff breed, making them the perfect and best pets for you and your family, i used to have lot of mastiff type dogs and believe me, none of those breeds compared with a Boerboel, this is a extremely healthy breed considering the huge size of this dogs. The South African Boerboel is also very easy to maintain and clean due to the nature of their physical features. They have short bristles like coats, this dog breed is very easy to clean and no matter how dirty they get while playing, all they may need is one dip and they are ready for the next dirty play! Conclusively, not only are the South African Boerboels breed man’s most trusted companions, they are also a very important member that every family should consider getting because of their perseverance, courage, agility and most especially, their trainability. If you want a true friend find a Boerboel Puppy For Sale, why go for less? Want a a true Elite Boerboel? 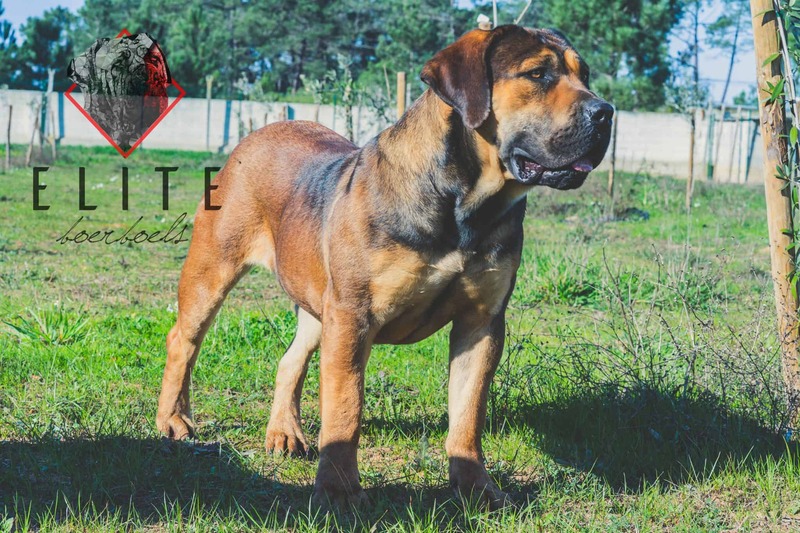 Please visit our Website main page https://eliteboerboels.com and join our waiting list, we will notified when we have one available. Im intrested in getting puppies of south African beorboel. Please provide me a trusted breeder who can help me finding best temperament puppies for my family. 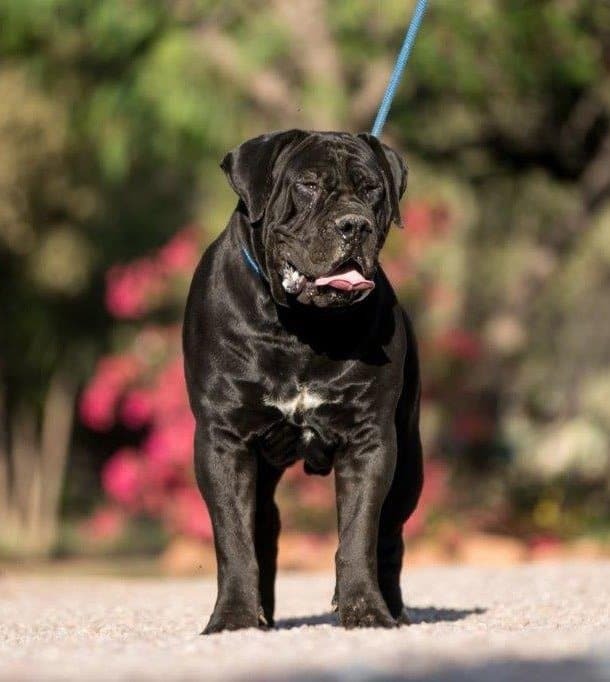 Hi we are a breeder, please visit our Website main page https://eliteboerboels.com and join our waiting list, we will notified when we have one available. A beautiful text for a beautiful breed. I hope one day to get one! In your opinion, which breeder consistently produces heavy boned males with large heads? 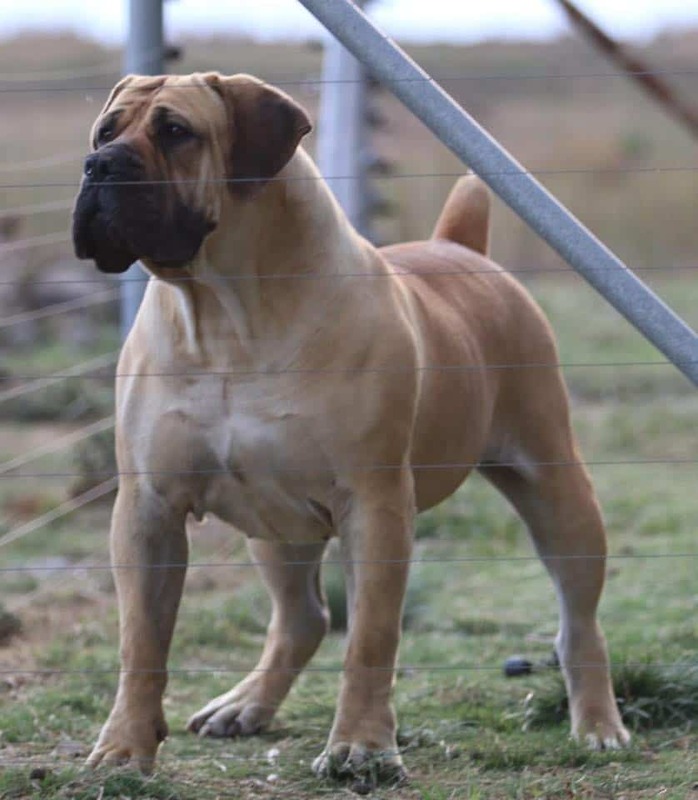 All breeders i mention produces dogs like that because thats what i believe should be a Boerboel male, but till now my best experience was with karlien from Afrika Boerboels, however all those breeders are good and actually i must add Bostu Boerboels because they are awesome!. How to recognize the real boerboel?I bought tow boerboel but now I feel that they not pure. Please fill out your Name and Email adress below to be on our waiting list and we will get back to you as soon as possible. You have successfully join our Waiting List, Thanks! The home of the true Elite Boerboel.